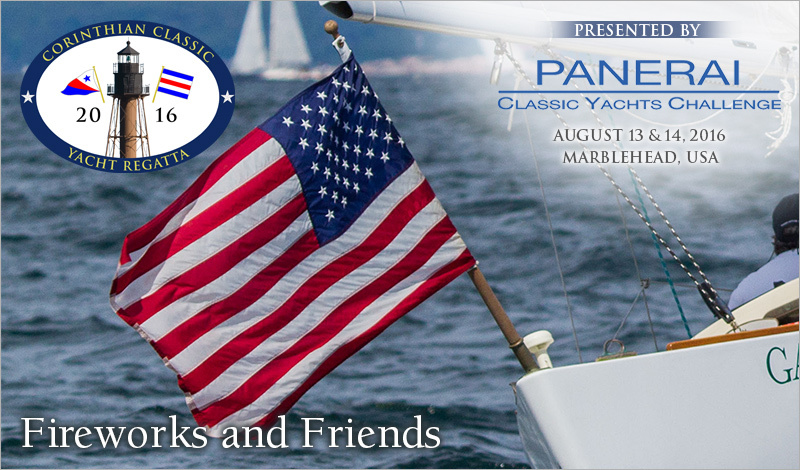 Remember, that after the 4th, the next great event will be the Corinthian Classic Yacht Regatta - presented by Officine Panerai - August 13 & 14. Marblehead, the birthplace of the American Navy, is a terrific destination and the Corinthian Yacht Club is a great place to spend a weekend. It just doesn't get any more American than that. Talk it over with your family, friends and crew this holiday.